Way back in July 2015 we had the first NX 'game announcement', when Square Enix revealed that Dragon Quest XI would come to both the 3DS and the next-gen system, albeit in very different forms. Square Enix then backtracked, possibly because Nintendo may not have been delighted to see a platform a long way from its reveal being mentioned by other publishers. That same set of reveals also confirmed that Dragon Quest X would come to the NX, and now that has been mentioned again, well over a year after the official announcement. Dragon Quest X producer Yosuke Saito said the following to Famitsu. I think there will be an influx of new players that peaks with the launch of the PS4 and NX editions. Up until then, rather than the incoming new players, we are doing our best for the people who are playing already. Dragon Quest X, an MMORPG, has so far had three major content updates, with a fourth version currently in the works. Sensible money is on Version 4 being the focal point for a release on PS4 and NX. What this doesn't do, though, is re-confirm Dragon Quest XI for NX, while X is still a Japan-only title. In light of the upcoming 3DS releases in the West, though, perhaps there's hope that Square Enix will start to push this series in the West once again - time will tell. Reminder that DQX was originally a Wii game and that there's nothing confirming or denying that the NX and PS4 versions are one and the same. Second last sentence says this doesn't confirm XI for NX for real this time. I'm much more interested in XI. I'm not a fan of MMOs. Just give me a solid single player RPG and I'm happy. I wonder did anybody send that tip in over half a day ago? Well, the more games the better, but hearing that the likes of Just Dance and now Dragon Quest X (basically, a Wii game) are coming to the NX doesn't particularly excite me. At least we know it's also getting Breath of the Wild. "I wonder did anybody send that tip in over half a day ago?" Squeaky wheel gets the grease amirite? Maybe 50 people sent in the tip or the author saw it and didn't need the tips. Maybe you just need to prove that you aren't an attention seeker and actually care about helping the site by getting news to others. Instead, it seems like half of what you do is an attempt to aim the spotlight at yourself. People see right through that. Offer something of substance more often and you'll get more respect. @Kirk You want an optimist take? These are the third party games that are worth revealing now because they don't have a chance of being very important in the NX reveal — besides Zelda of course. The key important games are sworn to secrecy to help the launch. @Tsurii I was just pointing out that another less impressive version of the game exist too for the sake of avoiding the inevitable "DQX proves that the NX is on par with PS4" comments, as we've seen with the next Sonic game. I was under the impression that the 3DS version was heavily retooled though, that's why I mentioned the Wii version anyway. If not, that's pretty cool. Boring. Not only is this game an MMO but it's Japan only. The NX needs to western third party support. Japan isn't relevant anymore. How about some Final Fantasy spin-off again ? Or Serious HD Remake of FF V and FF VI ? FF III and IV got extreme makeover started from NDS first before retouched again on Mobile. @Kirk It's being remade/upgraded for PS4 as well, so chances are that this new version is the one that the NX will also be getting, not the SD Wii version. So I'd say that would be enough to get excited about, provided jRPG's are your thing, of course. Really ? There are a lot of Japanese developers still developing games for NX. And i'm looking for them 99.99%, because i trust Japanese people can create good quality games. I almost NEVER like Western games. From my huge Nintendo games collection so far, i have owned approximate 1 -2 % Western games. The rest are games made by Japanese developers. @ThanosReXXX I'd be more excited if it weren't the one MMO Dragon Quest JRPG of the bunch. If they confirm Dragon Quest XI too, that would be cool. @aaronsullivan That would def be great if true. i want dragon quest heroes on there too. 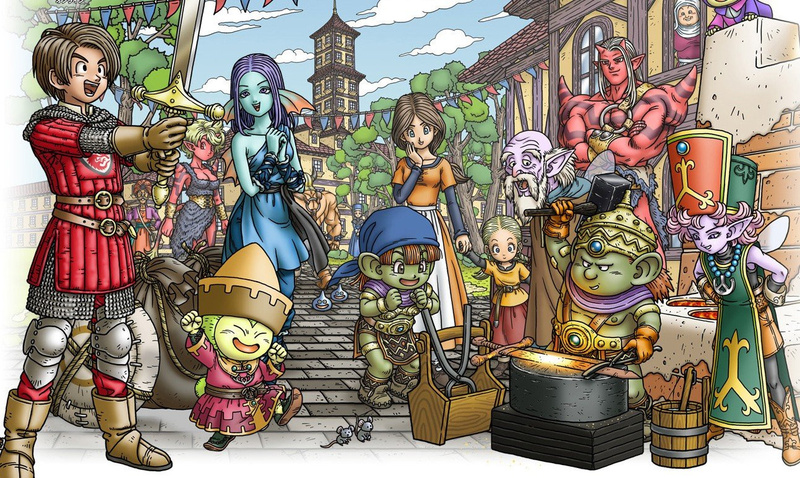 Not a huge MMO guy, but I'd for sure give DQX a shot if it released in the states. DQ is one of my favorite series though. I would love to play Dragon Quest X if it had an offline mode. I know that's not how MMOs work, but I don't really see why they can't be offline most of time (is the game world on the disc, or a server?) with a net connection only required when you want to play with other people. I'd be happy to settle for A.I. @Kirk Yeah, I'm not that into MMO's either, so a single player or "normal" multiplayer (with friends only) would be my preference too. All I was hinting at is that it can at least look the part if it is going to be the same as the PS4 version. I'm not expecting them to release the Wii version on a new console. "What this doesn't do, though, is re-confirm Dragon Quest XI for NX, while X is still a Japan-only title." So, I get from that sentence that this DOESN'T RE-CONFIRM Dragon Quest XI for NX, right? I thought it DOES RE-CONFIRM it. 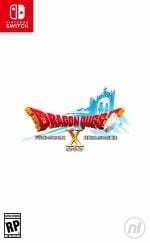 @Olmectron It confirms Dragon Quest X, not XI. @Marce2240 Well, the very same fact that you are using could then also mean that the PS4 version will look equally dated, which of course it won't. First off: there's also been a Wii U version, which already looked considerably better, and second: the fact that they mention the PS4 and NX version being released simultaneously does indeed point to that being the same version, which would obviously lead to the conclusion that the NX is indeed capable enough to display graphics on par with or close to PS4. WOOOO!!!! Yeah, love hearing this trickle of news coming out about 3rd party devs!! I'm really hoping Nintendo has got Square Enix on board for the FF7 reboot. THAT WOULD HELP SELL SOME SYSTEMS! I'm just not excited for the NX at this time. For all im hearing it's powerful "for a handheld" and Nintendo is banking on it hooking up to your tv with a box and unless said box also has more computational power we're looking at a system that isn't even as powerful as the Wii U. With TV technology increasing I want to be able to enjoy 1080p at the very least with an X1 it's more suited for 720p which is great on a handheld, not so much on a home console. @ThanosReXXX Hopefully it looks sweet at least. I wasn't even talking about the hardware, only about the game, and there is no reason to believe or assume that they will re-release the Wii version on the NX, especially since there has already been an upgraded version on the Wii U, so at the very least, graphics of the NX version should be on par with that, but probably better, since it will be made & released in tandem with the PS4 version. Why the hell would they go with the oldest version? That makes absolutely no sense whatsoever. That is simple logical deduction, nothing more, nothing less. And if the hardware is on par with the Wii U, then that's yet another reason to expect that version, and not the Wii one. But X1 in it's base form isn't "barely" equal to the Wii U, it is already equal in most aspects, and since a console will more than likely not have a bare bones chip but a custom or semi-custom version of that chip, there will be options to get even more out of the hardware. Heh, unless it's the mobile version of Dragon Quest X, then this is awesome news. I have a good feeling Dragon Quest XI is coming soon to NX! Even if Dragon Quest X comes out for NX, I'll probably just going to wait for Dragon Quest XI instead as I am not a fan of MMORPG. 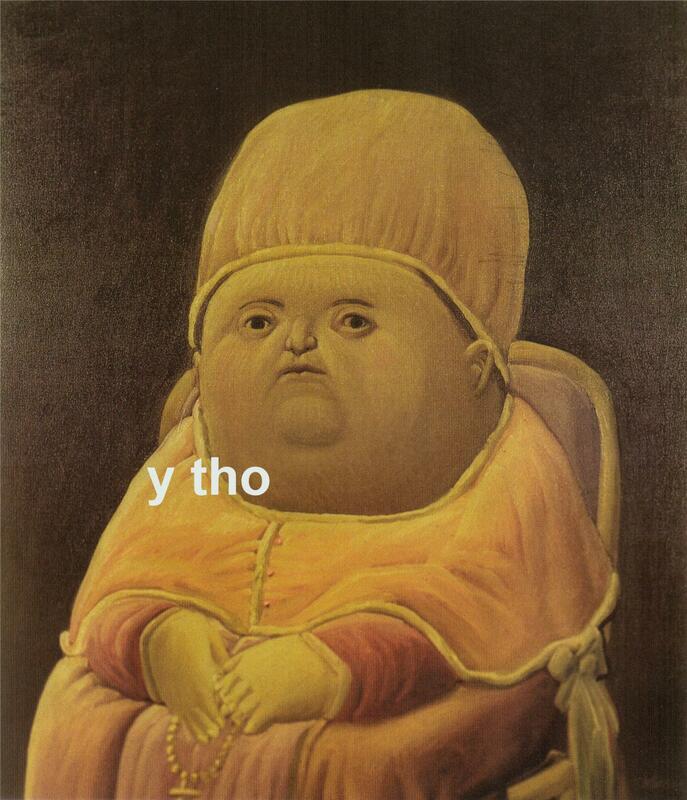 I just hate it when Square Enix kept turning the main roman numeral games into one of those MMO when they could had easily done one without conflicting a main game. @ThanosReXXX Of course it won't, because it's the leading console of the market and already has a sizeable installbase. I mentioned that it was a Wii game originally to point to the fact that DQX can run almost on everything, so people shouldn't be making assumptions about the power of the machine based on that, especially when we don't know anything about the console for certain. Common sense indicates that it's the same version, but it's still an assumption. There's no official confirmation of that being the case. I'm just pointing that out so people can manage their expectations accordingly. We've seen enough people bothered about the presumed lack of power after the Eurogamer rumor, we don't need more of that. God, I am so sick of all these articles talking about rumors-what? This isn't a rumor? This is actually confirmed?...Carry on, then. Great comment, nice to see that side of you sir. @Marce2240 That it's the leading console is a factor in which version the PS4 is getting, true, but that is also because they would not port and SD game without upgrades to ANY HD platform, besides the fact if it is leading or not, and especially since there already is an HD version, namely the Wii U edition, it will make no sense at all to go back a step and port the older Wii version to either the PS4 or the NX, or whatever system for that matter. The Wii was v2, the Wii U game was v3 and all news is now talking about v4, so that is the version we will also be getting, in whatever shape, but at least for now "we" must be translated to Japan, since no Western release has been confirmed at all, same as with the previous two versions, even though there are more than enough Dragon Quest fans over here. Agreed on the managing of expectations, but I am already doing that. The NX/NX systems (I'm still expecting both a handheld AND a console) will be alright on its own and it would be nice to get some more third party support than the Wii U did, but for that to come true, it does need to have a decent set of capabilities and it needs to sell well enough for third parties to be able to make enough money off of investing in it. @ThanosReXXX Again, I didn't mean to imply that they'd be porting the original Wii version to the NX. But good point with the thing about the different versions, I didn't know they were tied to the hardware. Makes sense, since I haven't heard of a way to download datapacks for Wii games. And if the NX turns out to get the very same version than the PS4, then I too cannot see how it can be anything but two separate devices. Which, to be honest, kinda worries me a little, since the idea of having Nintendo's whole output on a single device appealed to me. I'd gladly sacrifice a good amount of power for that, and I have the impression many others would too. @Marce2240 Well, especially since this is an MMO, it is also (or maybe even more so) an issue of logistics. They wouldn't be running a server park/farm with several versions of the game on it, so all platforms, whether it's PC or console, will be running v4. Partially agreed on the whole output on a single device thing. Would make a beast of a handheld for sure, but I would have to wonder about the connect to TV part, which would still be "a handheld that you plug into the TV" and that doesn't sound up to par with current console tech at ALL, so games on the big screen might look worse again. And Nintendo has nearly always had a handheld and a console, so it's not as if it's out of their league to do so again this time. And as far as people worrying about the potential risks of that are concerned: the consolidation of their two departments (handheld and console development) in combination with the now all but confirmed cartridge based games make for a very streamlined and diverse software development trajectory, especially if game cards are interchangeable between the two. They wouldn't have to be leading in power, but on par with current tech seems to be a smart thing to do and perhaps even a must in today's market (also for many users) of course assuming that it is indeed going to be two devices, which is just as much a rumor as the EuroGamer "report". I wonder if NX players of X would be able to join people who own the PS4 version.